MMD 9.31 is the latest version of MikuMikuDance! Where can I download the latest version of MikuMikuDance, the free 3D animation software from Japan? What is the latest version of MikuMikuDance MMD? Download the 64-bit version of MikuMikuDance. MMD 64-bit. MMD for Windows 8. MikuMikuDance for Windows 7, Windows 8 and Windows 10. Visit the DOWNLOADS Page to get the latest version of MikuMikuDance … for Windows XP, Windows Vista, Windows 7 and Windows 8 and Windows 10! Download the latest 64-bit version of MikuMikuDance from the LearnMMD Downloads page! MMD does not “install”… just unzip the download folder on your desktop… and double click the MikuMikuDance.exe program.See our Step-by-Step MMD instructions. If it doesn’t run for you, see the LearnMMD Troubleshooting tutorial. MikuMikuDnace, MMD was first released in Japan in 2007. In 2010 the English version of MMD, MMD 7.39 was released to the world. People from all over the world could download MMD. Our readers in India can download the latest version of MikuMikuDance, MMD. Our readers in the USA, Germany, Bolivia, and China, countries across the globe can download the latest version of MikuMikuDance, MMD. Totally awesome that so much creativity can be unleashed by a 3D animation software. MikuMikuDance is the free 3D animation software used to create the tons of music videos seen on YouTube! 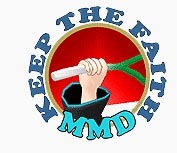 Just search YouTube for MMD … and be amazed! If you are already running an older version of MikuMikuDance and want to upgrade to MMD 9.31, be sure to open the new MODEL folder inside the 9.31 UserFile folder, Select All (Control-A) … and copy/paste the new data into your existing MODEL folder. Click “Yes to All” to replace your existing old standard models with the new ones … including Luka! Bookmark LearnMMD.com and come back often to download the latest version of MikuMikuDance … the free 3D animation software from the folks of the VPVP Vocaloid Promotional Video Program page. some one can resolve this? My guess would be your computer thinks MMD is problematic because you downloaded it online. You can approve it through your antivirus. Yes… please do! Good luck with your project. How do I download MikuMikudance? , all I’m seeing are adds. Can you help? , my laptop is a windows 10, so please get the windows 10 version unless it’s the same, thank you! Go to the downloads page. Find the icon that says download MMD 9.31 and press it. Every time I try to download this it won’t open it asks for me to open it with an app instead of it just opening, What do I do?! You should be opening the MikuMikuDance.exe file. so i downloaded mmd 9.26 and for some reason it wont let me open my mmd it keeps saying something about the side by side configuration being incorrect how do i fix it? may i ask for the link on how to download this software.. im intrested coz its something new to me and i want to try it.. i hope someone would help.. thanks alot..
Click the DOWNLOADS link at the top of this page. … Have fun with MMD! Hi~ So I got a new computer just in time to see this new update. I downloaded it to my computer, but the program doesn’t want to find my models. They’re there- it just says “No items match your search.” I’d assume this is a problem with my computer and not the program. My operating system is windows 8. Thanks. Tyler … I just sent you an email … hope that helps. Don’t know why you would be searching for your models. They should be inside your Model folder, inside the User folder. Is there any additional software that I need to DL? That is a common error and we do have a possible solution. Did you download and install that missing DLL from our Downloads page? … It might work for you. i tried adding the mmdxshow to it it still says the exact same thing. For some reason, Rule of thirds effect (actually, more like tool) doesn`t show up in 9.08 version. Reverted back to 8.04 – works fine, but for the sake of progress it would be nice to fix this bug. Without Rule of thirds I feel like I lost my arms. Thanks for the comment. With the lack of documentation for each new MMD version, we will have no solution until some sharp MMDer figures it out and tells us how to make it work. Saturday, March 16th … it’s now version 9.03! Sunday morning and it’s now 9.04! Monday Evening and it’s 9.06! Tuesday morning … it’s 9.07! I have been updating to the latest version of MMD with each update … 8.03 thru 8.08 … and my older saved animations all have run well on them … the one’s using MME effects have shown the effects to be working, as well … no trouble. I am running Windows XP SP3 … 8.08 and MME works for me. Mr. XXB … Which MMD version are you running? Heads up. The link to MMD8.08 64-bit downloads version 8.07. I was able to get 8.08 by copying the address from the link, pasting it into a new Explorer tab and changing the 7 to an 8. Wow! … Sorry about that! … MMD 8.09 is the new one now! I believe the links on our Downloads page are working correctly. I am sending you an email so that I can get the details to help you.